Across the West, open anti-Semitism is gushing like old geysers from deep in the ground, long-since covered and forgotten. What happened? Is this new anti-Semitism or the same old hatred of the Jewish People, merely taken down off the shelf to flourish in today’s more hospitable, right-wing extremist environment? Manfred Gerstenfeld, a well-respected and accepted authority on anti-Semitism, proffers that the cause is the polarisation that came about during the recent election season in the United States. 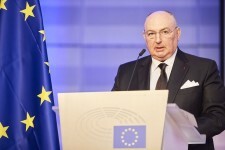 In a February 27, 2017 Jerusalem Post article, Gerstenfeld noted, “In a quiet society, the anti-Semites are not aroused as much as they are in a polarised society.” Moshe Kantor, President of the European Jewish Congress, echoes this sentiment, as he brings a wake-up call to leaders throughout Europe. He warns that the increasing incidents of violent attacks on the Jewish people and Jewish institutions, along with a corresponding rise in political extremism, is threatening to tear down decades of work invested in building a cohesive and inclusive society. It is also contributing to an exodus of Jews from Europe, especially France. Over the last three years, according to Daniel Benhaim, director of the Jewish Agency in Italy, Belgium, France, Switzerland and Spain, 20,000 French Jews made Aliyah to Israel. There have been a number of successful populist movements throughout the international community. The Brexit referendum succeeded because of British concerns over immigration policies and how the traditional demographics of the country would be changed. Donald Trump’s campaign focused on a number of anti-immigrant issues, which many say served to popularize hate speech and create intense polarisation within the country. In France, the increasingly popular leader of the National Front Party, Marine Le Pen is running on an isolationist, anti-immigration platform. The “Movement for a Better Hungary” is primarily preoccupied with anti-Israel and Hungarian ethnicity. The Sweden Democrats are borrowing from Trump with an anti-immigration platform. The presence of all of these catalysts—the rise of far-right and far-left parties, patriotism, a growing sense of insecurity and disempowerment, and radical Islam, is causing anti-Semitism to rise like a cancer that was merely in remission. According to the ADL, there were 941 recorded incidences of anti-Semitism in 2015, which was 3 percent more than the previous year. Statistics for 2016 have not been compiled, nor for the first few months of this year, but anecdotally, we can see that the number of anti-Semitic cases is increasing. Just within the past two months, several Jewish cemeteries have been vandalized, and hundreds of bomb threats have been called into Jewish schools and community centers. College campuses across America have also become hotbeds of virulent anti-Semitic activities, such as the Valentine’s Day distribution at Michigan College of greeting cards saying, “My love 4 u burns like 6,000 Jews.” According to the Simon Wiesenthal Center, American Jewry is facing extremist attacks from a number of fronts, including anti-Israel campaigns that have taken over college campuses. Hate groups, such as Black Lives Matters, who are not going to be involved in overt anti-Semitic actions, such as destroying cemeteries, nevertheless breed an atmosphere of hatred that fertilizes anti-Semitism. David Green, in a March 1, 2017 Haaretz article makes an interesting comparison between the recent spate of bomb threats against Jewish institutions and the bomb threats against Jewish institutions in the late 1950s. In the nearly 100 threats phoned in the past two months, no bombs were found. But, across the American South, the bombs were real, and in some cases they actually exploded. What might have been the catalyst then? A series of landmark court cases were being handed down, beginning with Brown v. Board of Education, which were slowly eroding the powerbase of the segregationists. White supremacists were most likely fearing a loss of control and acceptance, a feeling that has kept them pretty much in the closet for decades, until recently. Green opines that the actual danger is not so much whether there continues to be racism in America, but rather that “…the holders of white supremacist and anti-alien prejudices feel increasingly comfortable giving vent to their sentiments of hatred.” And now, rather than rallies, white supremacists, such as the National States’ Rights Party, and other hate groups can simply take their message to the digital world, where it can instantly inspire and embolden like-minded groups to take action, more often than not, against the Jews. When speaking before the Anti-Defamation League in early February, Pope Francis said, “Sadly, anti-Semitism, which I again denounce in all its forms as completely contrary to Christian principles and every vision worthy of the human person, is still widespread today…” Energised by Trump’s ascendancy in America, Brexit and a more openly racist environment, fringe parties are ascending to levels of acceptance and political power, all of which serves only to isolate minority groups, who will ultimately push back against the tyranny. We have history to show us what happens when minorities are alienated—it is never good for the Jews. As Pope Francis went on to say “protection of the weakest” is essential for the fight against anti-Semitism, a sentiment echoed and being spread widely by Dr. Moshe Kantor and other Jewish leaders.